Here is your opportunity to purchase a busy, growing, 5 day a week family practice in the highly sought-after central Annapolis Valley. This practice has a 25 year history, purchased by its current owner in 2011 and moved to this high traffic, highly visible location in 2014. Each year shows growth with above average production figures. This bright and attractive facility boast 4 ops in 1600 sq feet. 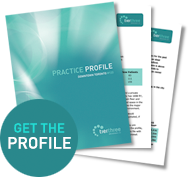 The practice is paperless and with a strong web presence, has attracted 27 new patients per month in the past year. Hygiene compliance is 90%. The owner is available until April 30, 2018. All indicators point to a bright future for the new owner.